Hi there, can anyone tell me if there is a pool at the Mounda Beach hotel please? I know it's very close to the Beach but would like to know, many thanks in advance.. Absolutely superb. 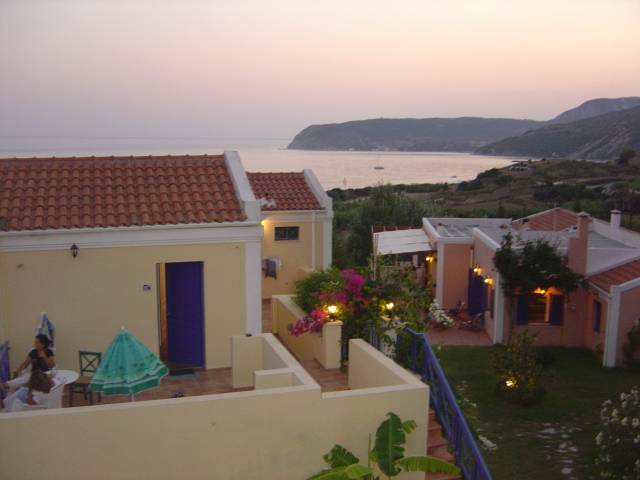 The Mounda Beach Hotel is the perfect place for a Kefalonia holiday. Theodore and his son, Alex, have created the perfect place for a relaxing, 'get away from it all' break. The hotel's designer has created a series of apartments that feel very individual, set in beautifully tended gardens, so even when it's full there is a 'secluded', private feel about the place. The accommodation is excellent � good quality, nicely styled, fresh and clean and cleaned regularly � definitely not your average 'box'. TV, radio, cooking facilities, fridge, aircon, quality beds, good furniture, balcony with sea view, nice shower etc. The views over Mounda Bay are stunning. The food is top quality � we had breakfast as part of the deal and it was really worth getting up for � beautifully presented, good quality, fresh, as much as you wanted and a good variety, to suit all tastes. We had one evening meal on site and this was excellent also. They really take a pride in looking after you. 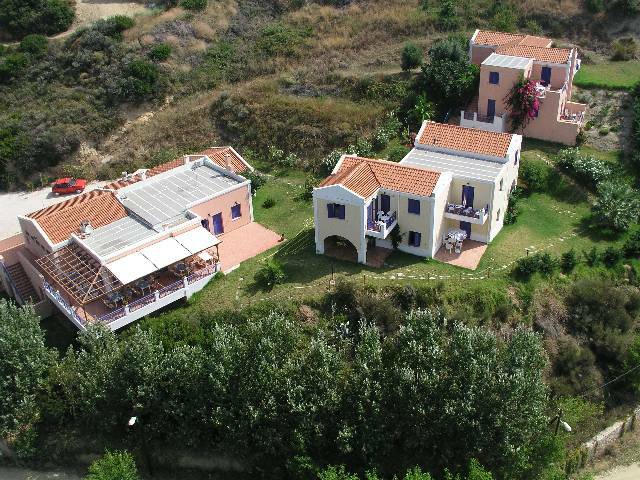 An added bonus is that the hotel is almost on the beach � in my opinion, Kefalonia's best beach � large, sandy, quiet and attractive. It's just above the Marina Bay Hotel, where we stayed last year, which is also good, but not nearly as good as Mounda Beach. In addition to this, Alex, Theodore and their staff are really nice people � we will definitely be booking again next year � maybe even later this year! A superb location just 100M from one of the best sandy beaches on the Island.A great place to stay,for a really relaxing holiday. Have just returned from a two week break,staying at the Mounda Beach Hotel.Our third visit in two years. We have just retuned from our third successive visit to the Mounda Beach Hotel. As always, we were made very welcome by the owners, Theodore and Alex. This year the rooms had air conditioning and TV and all the features that have delighted us in the past - long, sandy beach only 200 yards away with very few people on it, spacious and very clean room with ensuite bathroom, excellent food and friendly and efficient proprietors and staff - all held good. We cannot wait to return next year, or perhaps sooner. We have just returned from our third successive visit to the Mounda Beach Hotel. As always, we were made very welcome by the owners, Theodore and Alex. The rooms have air conditioning and TV this year and all the aspects that we have enjoyed in the past - long, sandy beach only 100 yards away with almost no-one on it, spacious rooms, excellent food and friendly and efficient proprieors and staff - still held good. We shall be returning next year, if not sooner! Have just returned from our 4th trip and as always everything was perfect from the comfortable rooms,ambience,freshly cooked food,location and Theodore and Alexander our hosts. Very pleasant hotel, well situated in an elevated position overlooking a wonderful and easily accessible sandy beach. Clean, comfortable and spacious rooms - ours had a large terrace. Good restaurant with personal service from the owners. Friendly atmosphere contributing to a really relaxed holiday.